Measure from the back of your neck to the top of your shoulders, to your elbow and down to your wrist bone. Measure under your arms around the fullest part of your bust. 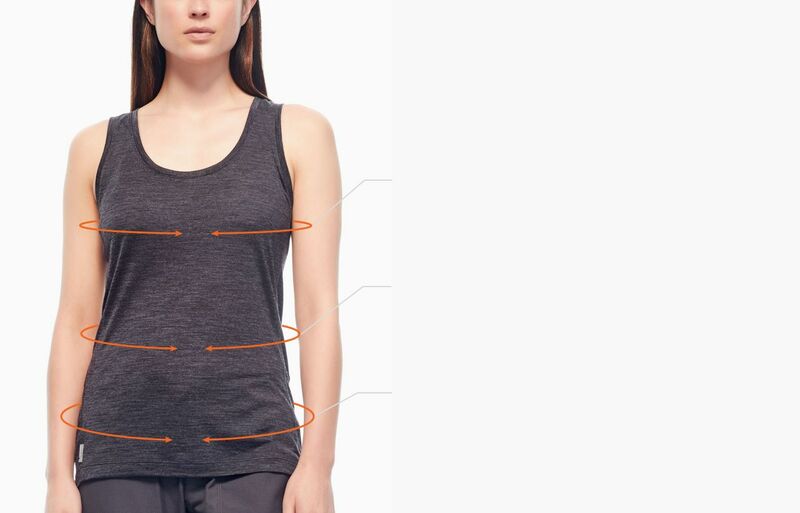 Place the measuring tape at your natural waist, the narrowest part of your torso. Use the chart below to determine your size. 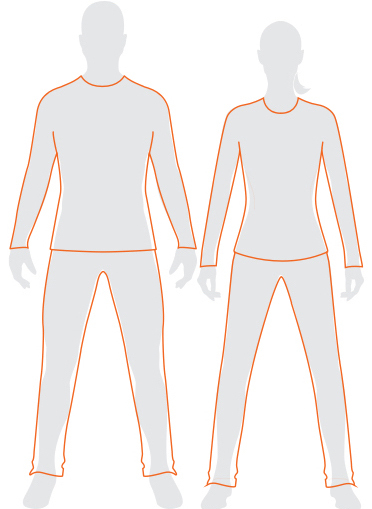 If you’re between two sizes, order the smaller size for a tighter fit or the larger size for a looser fit. 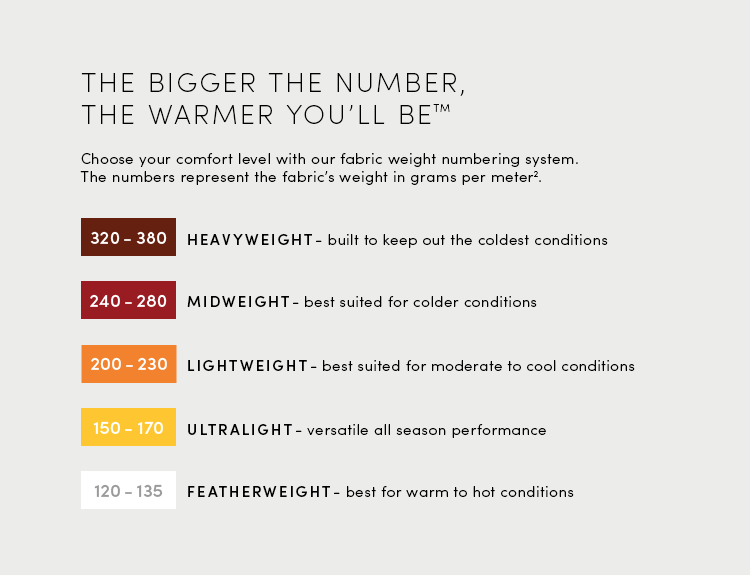 If your measurements for chest and waist correspond to two different sizes, order the size indicated by your chest measurement for tops and your hip measurement for pants. Model: Height: 5' 8" / 175cm. Waist: 25" / 64cm. She is wearing size Small. A lightweight technical baselayer designed with our BodyfitZONE™ construction, the 150 Zone Long Sleeve Crewe offers intelligent ventilation for year-round moisture management and stretchy, quick-drying performance. A versatile baselayer that works layered up on the ski hill as well as worn alone on a warm trail run, the Zone features our corespun fibers—nylon threads wrapped in soft merino wool and blended with LYCRA® for the ultimate combination of durability, stretch and next-to-skin softness. Strategically zoned panels of highly breathable merino mesh increase ventilation for high-output days. 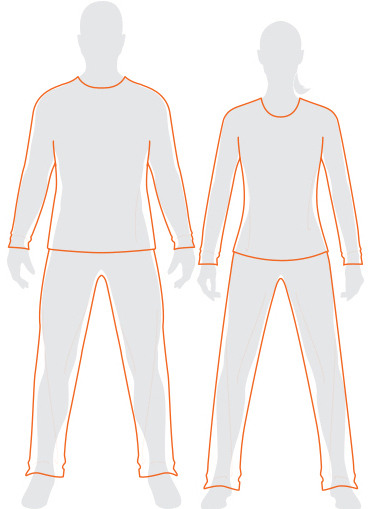 Underarm gussets and raglan sleeves improve range of motion, and flatlock stitching prevents chafing during dynamic pursuits. Care: Machine wash warm. Wash with like colors. Do not use softeners. Fasten all closures to wash and dry. Do not bleach. Do not tumble dry. Line dry in shade. Warm iron. Do not iron print, trims and accessories. Do not dry clean. 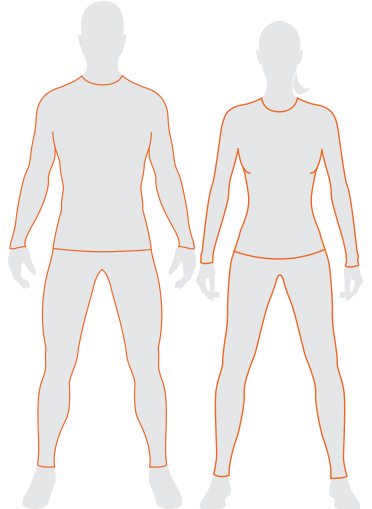 Icebreaker BodyfitZONE™ base layers employ our most advanced temperature-regulating natural technology. Soft and odor-resistant merino is used in different fabric forms to trap heat where it’s needed and release it when working at high intensities.